Clubbing, an exhibition punctuated by concerts and performances, Electron comes back strong in April in a completely new format: forsaking the Easter period to extend over two week-ends, the festival gets a new look in its night version and definitely leaves its traditional centre of gravity in the city centre to relocate in the rapidly changing neighbourhood Acacias. 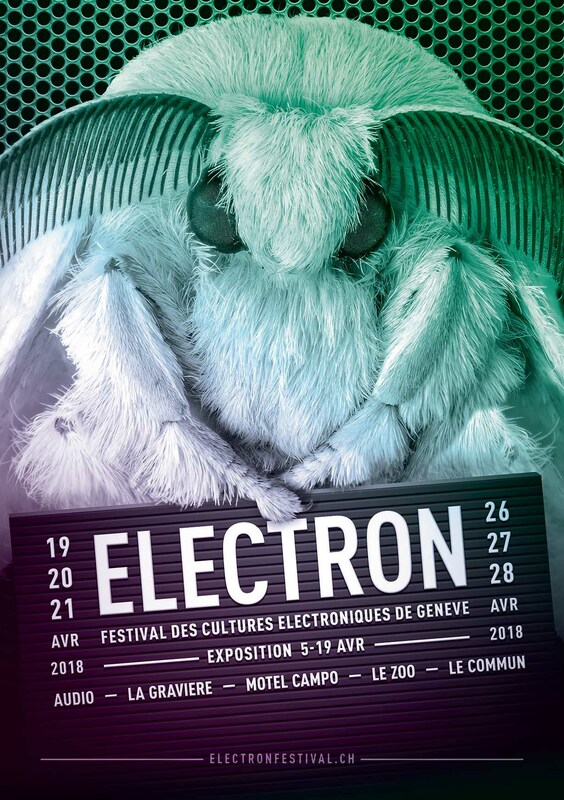 There it will deploy its new version in three em-blematic clubs of Geneva: Audio, the brand new temple of electronic music, and the Geneva institutions of clubbing La Gravière and Motel Campo, complemented by Le Zoo, with a more specific programming (Goa & Drum’n’Bass) during the first week-end. 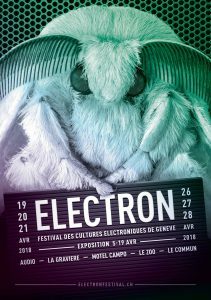 The only thing that doesn’t change this year is the annual exhibition of Electron Festival, which will launch the debate from 5 to 19 April at the Commun.